So I heard a lot about people putting nail polish on their keys to differentiate between the different keys for a while now. I always said to myself to do it but never got around to it even though it was easy. I finally did it! 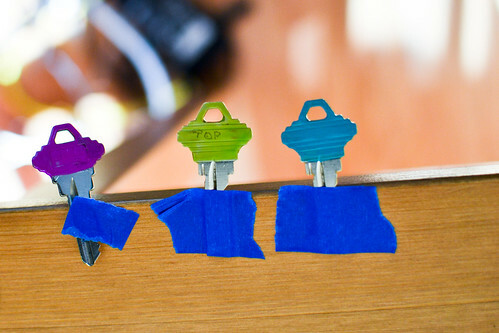 I put on 3 coats of polish on each keys and tapped them to the table to dry. That was it. So easy, why didn't I do it earlier? I enjoyed it so much that I even did it to Helen's keys, too. 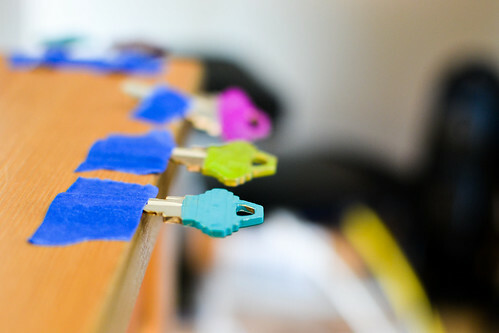 Now, I have a super duper colorful key set. 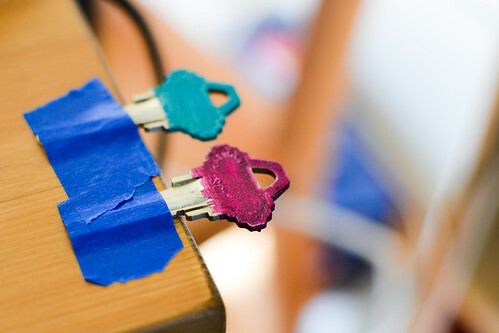 I would post them for you but people can cut keys with just photos of the keys. Call me paranoid but I'd rather be paranoid than have my kidneys stolen.